Collomix mixing paddles stand for high-quality “Made in Germany”. A wide range of mixing paddles for variety of mixing materials is offered. This is because short mixing times, optimal results and minimum physical strain on the user can only be achieved with the right mixing paddle. After all, we want you to choose the best mixing paddle for the various requirements of your materials, not just a suitable one. In other words, the originals. Why Collomix Mixing paddles ? For all requirements and types of materials, for both light and tough jobs. 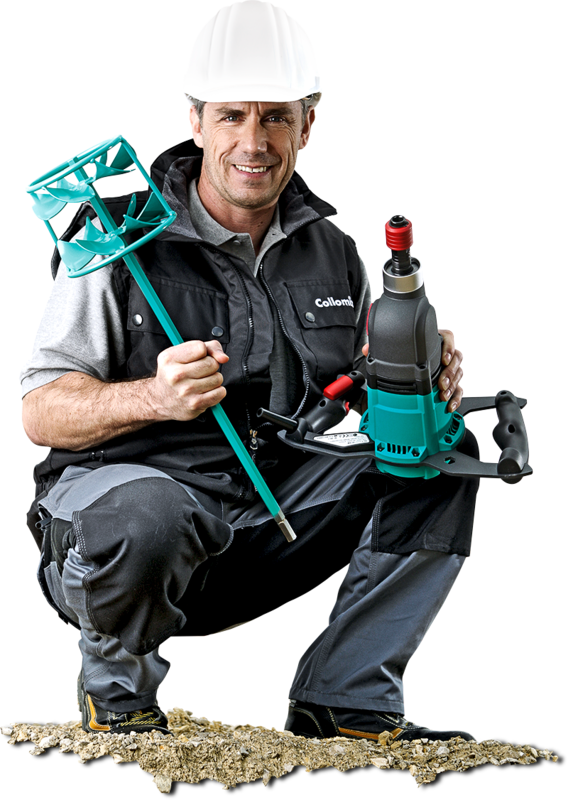 In a nutshell, Collomix offers the right mixing paddle with the right mixing action for every application. All Collomix mixing paddles are equipped with the patented HEXAFIX® quick action coupling. For mixing paddle change-over without any special tools. Extremely strong welded joints in combination with tough materials mean that Collomix mixing paddles are made to last. Continuous guard ring protects the mixing bucket from damage and provides smooth, reliable operation. For an attractive look and feel; smooth surfaces and edges; environment friendly production process with no emissions and with coatings containing no toxins. Suitable for diverse applications, this mixing paddle is notable for very good conveyance of the material. Two mixing helices for easy guidance in the material and minimal stress on the machine. This mixing paddle generates high shear forces for a powerful effect and prevention of lump formations. Easy to clean because material does not stick. Mixing Know-How for Mixing paddles ! We show you how to prevent the 8 common mixing errors and how to prevent them on your daily construction site.